Now let's come up with an epic sounding chorus for our heavy metal practice tune. In order to make the chorus sound epic we'll execute some forceful triplet rhythms played in unison by the bass, the organ, and the guitar. 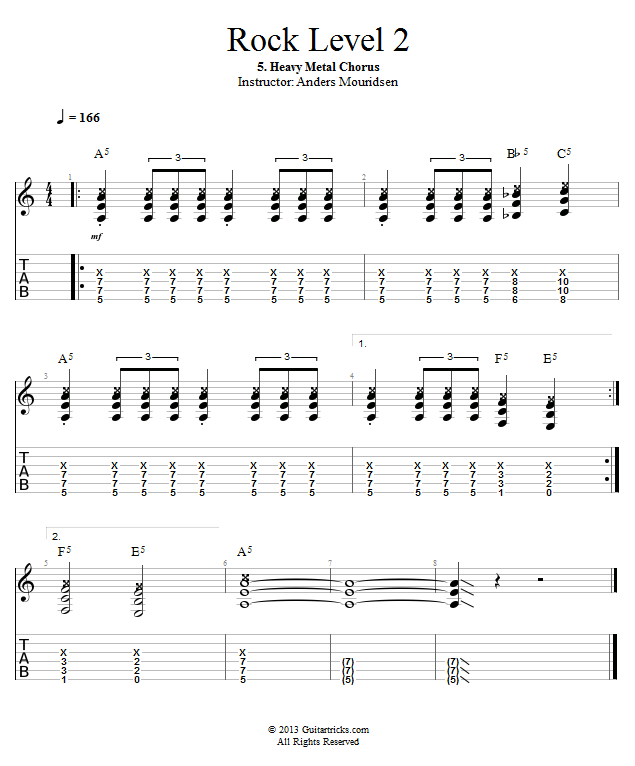 The first chorus hangs on A before the 2nd verse, and the 2nd chorus hangs on D before the solo.